1. You have to wear your aligners full time. With Invisalign, you're making a full time commitment. For Invisalign to do its job, you have to wear your aligners for a minimum of 20-22 hours a day as prescribed by your orthodontist, every day. You should only ever take them out to eat, or to brush and floss. It can be all too tempting to just take a break with these removable orthodontic appliances when the going gets tough, and it's certainly easy to forget to put them back in! 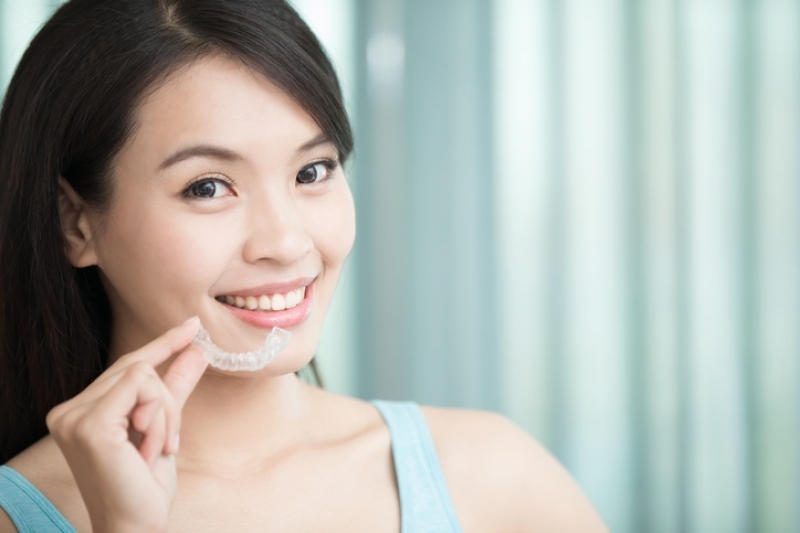 If you think you may not be able to remain as consistent as necessary for optimal results, Invisalign might not be the right choice for you. 2. It can be hard to talk at first. Until you get used to talking with your new aligners in, you may find you’re doing a lot of mumbling and lisping. For advice on talking with braces (much of which applies to Invialign too) click here. 3. Invisalign may not be right for you. Invisalign is a great choice for minor or moderate orthodontic problems. If you misalignment is more complex, it may ultimately take an extremely long time to correct with Invisalign, making braces a more efficient choice. 4. You’ll have to brush after EVERY meal. If you don't brush after eating and just put your aligners back in, you're essentially sealing food particles in against your teeth under your aligners. This creates a paradise for bacteria that cause tooth decay and foul breath. To prevent these problems, invest in a travel tooth brush or keep one in your desk at work. Your Invisalign aligners may become stained by certain drinks, so you may want to devote some of your two-hour aligner break each day to that morning cup of coffee. 6. Those extra snacks may not be worth it. You’ll have to somewhat mindful of how and when you eat. Remember that if you want a snack mid afternoon, it may not be worth it to take out your aligners, eat, and then also take the extra time to brush and floss. Be sure to eat enough at meals to last you between meals, or your making a lot of extra work for yourself. Invisalign aligners are normally quite comfortable to wear. You may feel a some pressure of discomfort when you change trays every two weeks, but for most people, this is very minimal. If you think Invisalign may be the right orthodontic treatment choice for you, get in touch! Our friendly Coquitlam orthodontists will help you make the best choice for your smile.